Categories: News | Tags: Author, Books, Clash of the Titles, contest, COTT, general, literary, September Clash | Permalink. Clash of the Titles is proud to announce the round three judges for the Olympia Contest! Categories: News | Tags: Amanda leudeke, Clash of the Titles, contests, COTT, Deborah Raney, Macgregor Literary, olympia, Steve Hutson, WordWise media | Permalink. Congratulations to Gloria Clover, winner of the August New Releases Clash, with her novel, The Fire Starter! Categories: News | Tags: Clash of the Titles, contest, general, new release, novels, published | Permalink. At Clash of the Titles, we’re interested in the Christian Fiction that’s making a splash, flying onto the scene in a burst of attention-grabbing technicolor and gripping our imaginations. Every month we’re seeing batches of new stories hit the shelves and here’s one that has also hit our hearts. Dineen Miller readily admits that one of the greatest lessons she’s learning about life is that there’s purpose in our trials. It’s all about trusting God and putting our hope in Him. Her favorite stories are of the miracles God has wrought in the lives of her family. 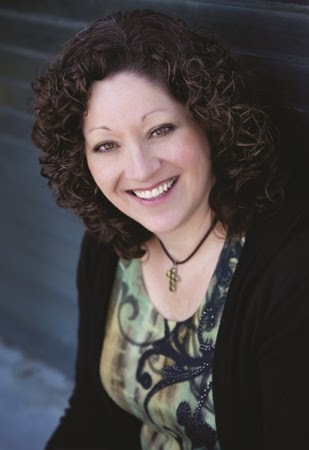 Through this lens she also believes her years as a youth counselor, a Stephen Minister, a women’s ministry leader, and a small group leader fuel her desire to ignite the souls of others through words of truth. 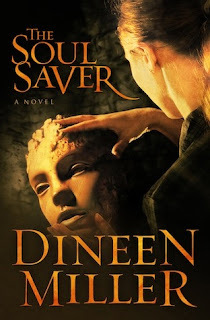 In addition to writing for Spiritually Unequal Marriage, Dineen has won several prestigious awards for her fiction, and her devotional writing has been featured in Our Journey and Christian Women Online Magazine. She’s also a C.L.A.S.S. Communicator and has been featured on the Moody Radio Network, Family Life and Focus on the Family Radio. Married for 24 years to a guy who keeps her young, she lives in the Bay Area with her husband and two adult daughters, who surprise her daily with their own creativity. She is the co-author of Winning Him Without Words: 10 Keys to Thriving in Your Spiritually Mismatched Marriage and the author of The Soul Saver. 1. What inspired the story for The Soul Saver? husband. I wrote this book for all the Lexies out there, to encourage and remind them that we’re not alone. God is there working in ways we can’t even imagine! 2. 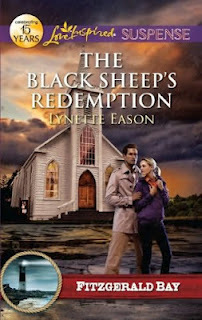 A suspense novel in the Christian industry can often be difficult to write. What helped you overcome those obstacles? Staying true to the message I felt God calling me to write. 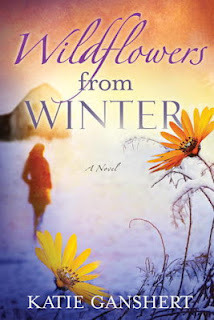 I attended the ACFW (American Christian Fiction Writers) conference in 2008 and by the end of the week, I left with a clear understanding that God wanted me to write this book. I stayed faithful to that calling and trusted God to find a place for it. Some in the industry either had reservations with the issue of being spiritually mismatched or with Tobias, a demon, who is simply a tool I used to show the spiritual warfare that is common in spiritually mismatched marriages. At one point I wondered if I would have to take him out, but my amazing agent, Rachelle Gardner, encouraged me to hold true to my story and she was right. The right timing and publisher did come along. I will be forever grateful to Barbour Books for giving The Soul Saver a chance. 3. What made you want to write in this specific genre? I love intricate stories and characters. Suspense wrapped with the supernatural is something I’ve always loved to read. The amazing thing is, we live in a world full of suspense and the supernatural every day. My favorite stories have and always will be of the miraculous, of how God has provided, made His presence known, saved a lost soul because that is what’s really happening around us if we just take the time to notice it. God loves to wow us. I hope I can do a little of that to my readers too. They deserve it. 4. Do you have any future projects going on? I have a novella coming out in August, A Love Meant to Be, that’s part of a collection titled Rendezvous in Central Park. I have the distinct privilege and honor of writing with Ronie Kendig, MaryLu Tyndall, and Kim Vogel Sawyer, three seasoned and very talented authors. I love this story because it’s a tribute to my father, a Vietnam vet who passed away in 2010. These stories span from the Civil War to WWII to Vietnam to present day conflict in Afghanistan. On an average day, God started her missions in her sculpting studio, revealing the face of the person she would meet at the grocery store, bank, or playground. The goal was always the same. Reach the lost, bring someone back to God, restore hope. But then came the tough missions—the ones that sent Lexie Baltimore into real battle. And she had a few battle scars to show for it. 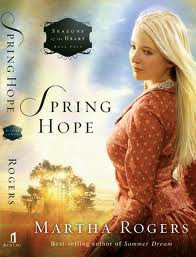 Tormented that she can’t reach the one person she loves the most—staunch atheist and husband Hugh—Lexie finds her own hope waning when the battle comes to her doorstep in the shape of a pastor who represents everything she wants and everything her husband is not—a godly man. Then false accusations and rumors spin her husband and family into a precarious position, and the only way out is to trust God. But how can she convince her husband when she’s struggling to trust God herself? This time Lexie is the mission. Categories: Author | Tags: Author, Clash of the Titles, COTT, Dineen Miller, interview, Michelle Massaro, The Soul Saver | Permalink. My summer reading list is quickly growing. When you read the following two-sentence hooks, I’m sure you’ll agree, these five May releases are must-reads indeed! Which one is drawing you the most? Please vote below, and check out www.clashofthetitles.com on July 5th to see who won. Happy Independence Day! A young architect at a prestigious Chicagofirm, Bethany Quinn has built a life far removed from her trailer park teen years. Until an interruption from her estranged mother reveals that tragedy has struck in her hometown and a reluctant Bethany is called back to rural Iowa. Eighteen months after the tragic Grove Street Fire took the life of her husband and four other heroic firefighters, Susan Marlowe thinks she’s finally beginning to heal. But then she discovers that David carried a secret to his grave—a secret that changes everything she thought about their marriage. On an average day, God started her missions in her sculpting studio, revealing the face of the person she would meet at the grocery store, bank, or playground. The goal was always the same. Reach the lost, bring someone back to God, restore hope. Everyone in Fitzgerald Bay—except his law-enforcement family—is convinced Charles Fitzgerald murdered his children’s nanny. Condemned by public opinion, his only hope for a replacement nanny to take care of his two-year-old twins is newcomer Demi Taylor. Categories: News | Tags: Christian Fiction, Clash of the Titles, contest, Deborah Raney, Dineen Miller, fiction, general, Katie Ganshert, Lynette Eason, Martha Rogers, novel | Permalink. Our focus is now on novels new to bookstore shelves. COTT’s readers will always have the most up-to-date information on the best and newest Christian literature. The path to publication in novel length is the most difficult a writer will embark on. For most, it’s a steep, uphill climb littered with deep crevices and seemingly insurmountable boulders. Often, it feels as though the summit of that mountain is on the move, keeping one toehold ahead of even the most relentless writer. In classical times ancient Olympia was the site of the original Olympic Games. It sat at the foot of Mount Olympus, the tallest, most formidable mountain in Greece. The first Olympic Games were held in honor of Zeus, but at Clash of the Titles, we give all honor to the Most High God and wish every contestant His greatest blessing! Authors, submissions for The Olympia pen October 29, 2012. For preliminary details, please visit The Olympia page. please visit our Submissions page. *Attribution: This image (or other media file) is in the public domain because its copyright has expired. United States Public Domain. Categories: News | Tags: Aspiring Authors, Clash of the Titles, COTT, Novel Contest, Novelist, The Olympia, unpublished, writers, writing contest | Permalink. because Clash of the Titles has an announcement. The Laurel Award is expanding, and we know you’ll be excited about it. We are creating a NEW annual literary contest, and it’s strictly for unpublished writers! Also, authors will no longer need to be a previous Clash Champion in order to compete for the crown. All never before published writers of Christian fiction may submit their work. First two chapters will be judged. Final scoring by a select panel of beta-readers. Special feature on Clash of the Titles’ blog. Tour through COTT’s Blog Alliance. Page on our site for a full year. Podcast interview with Author and CAG board member, Cynthia L. Simmons. The outcome is in the hands of readers, not industry professionals. You’ve written the book of your dreams, now what do readers think? Enter the arena and find out. subscribing to our blog and “liking” our Facebook page. Categories: News | Tags: authors, Blog Alliance, Christian Fiction, Clash of the Titles, contest, fiction contest, New, unpublished, writers, writing contest | Permalink.